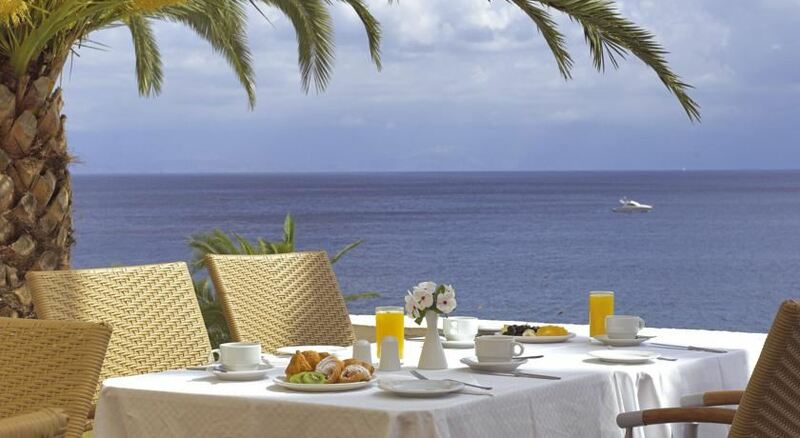 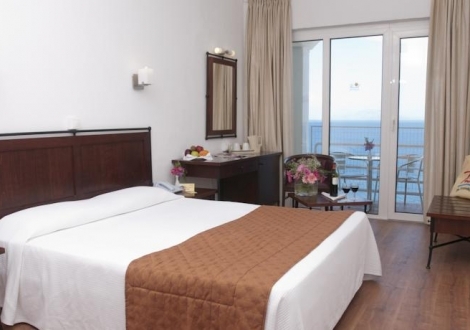 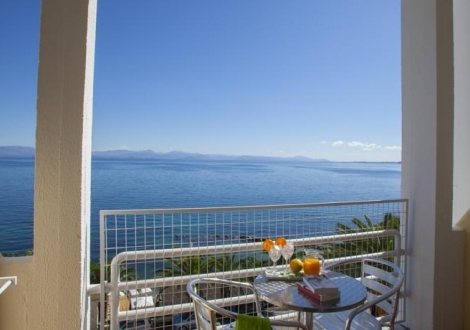 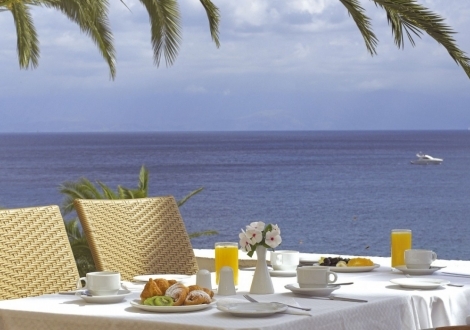 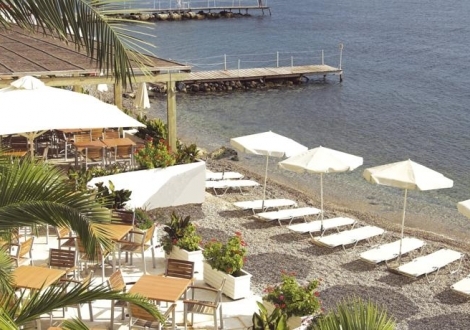 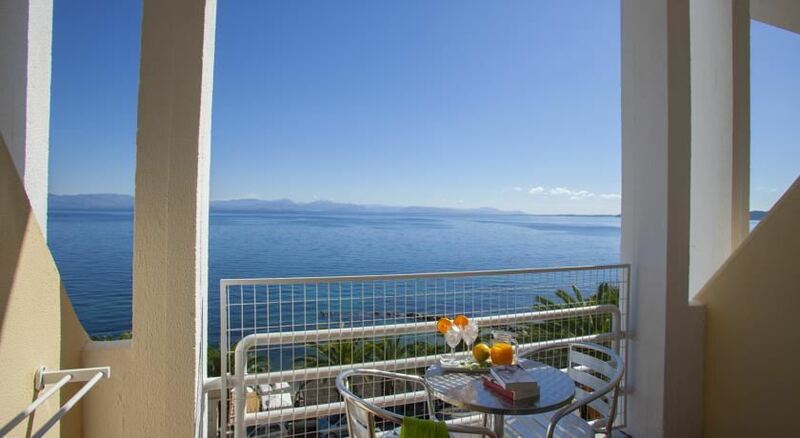 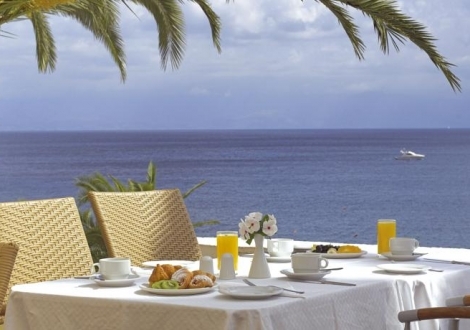 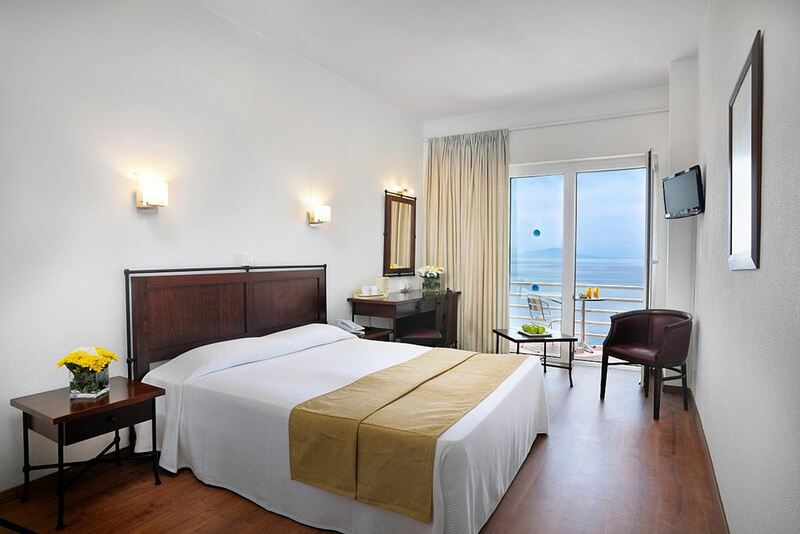 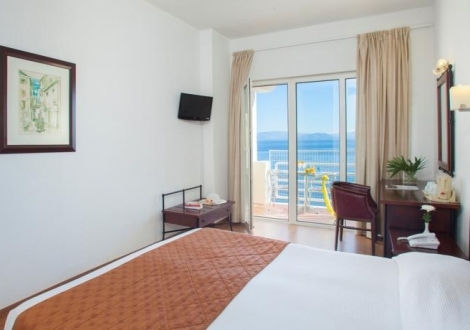 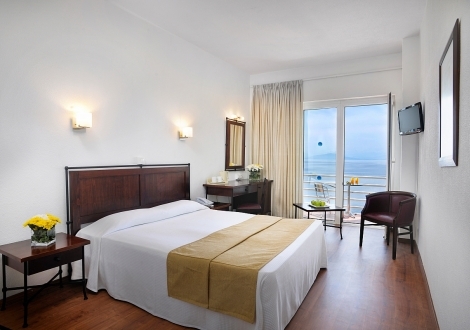 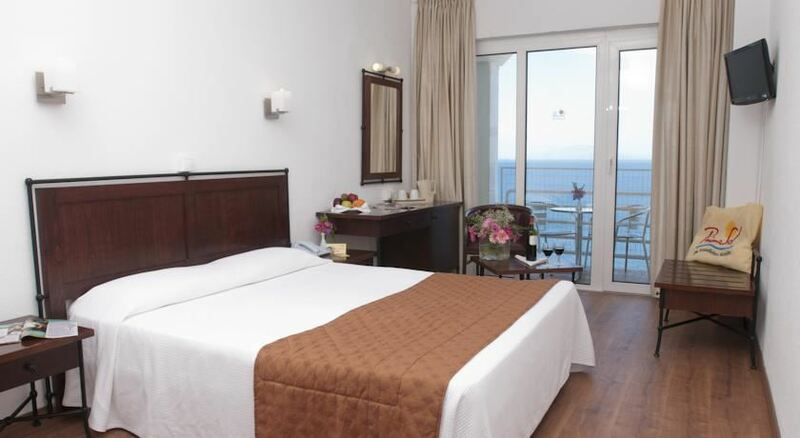 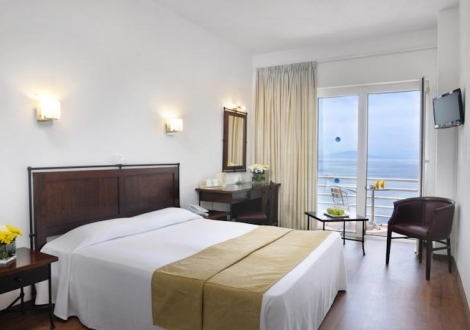 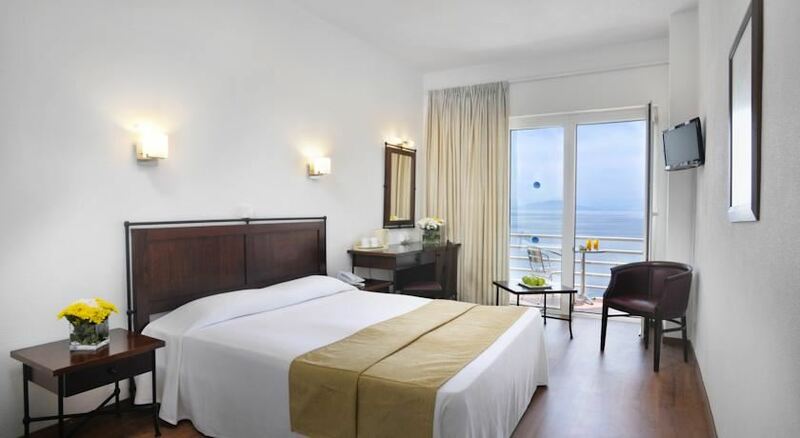 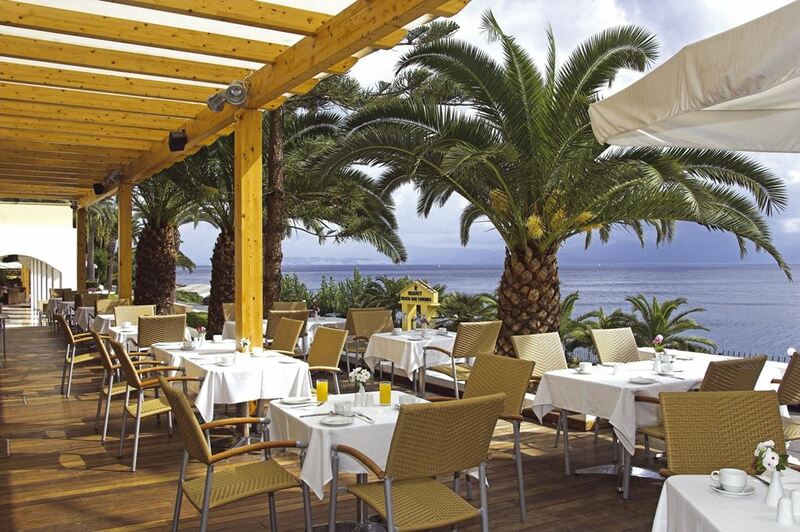 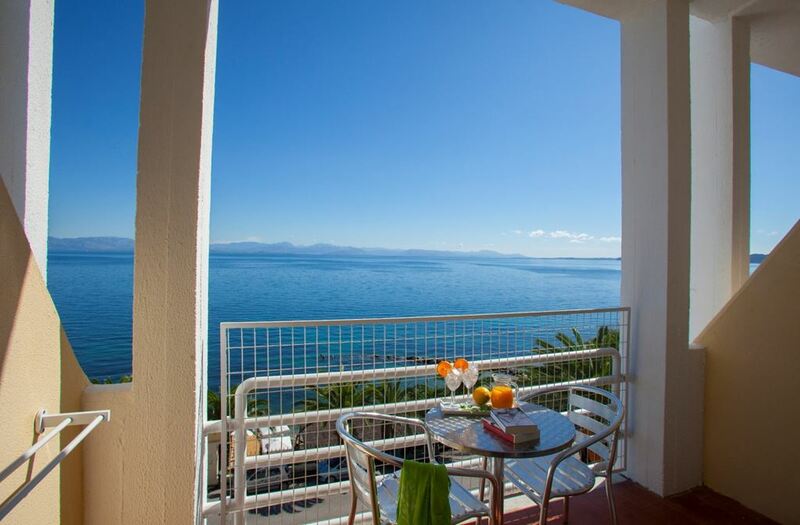 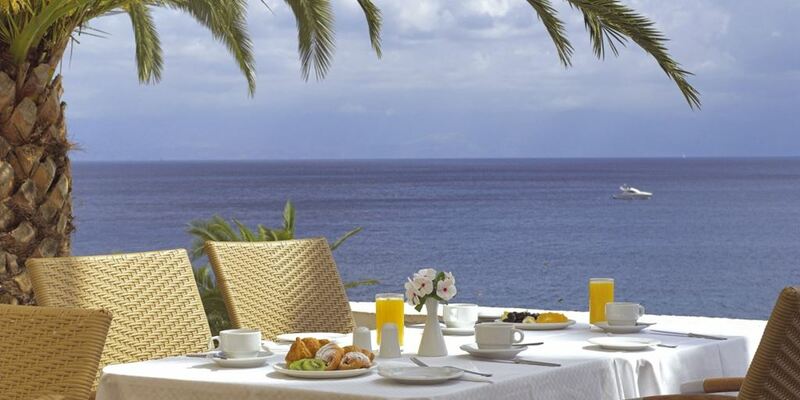 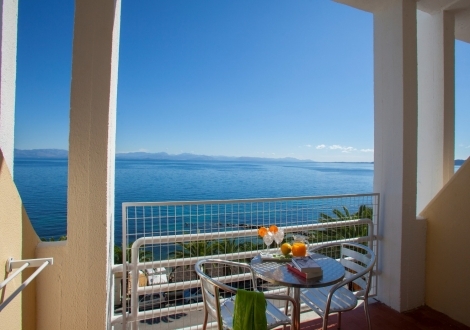 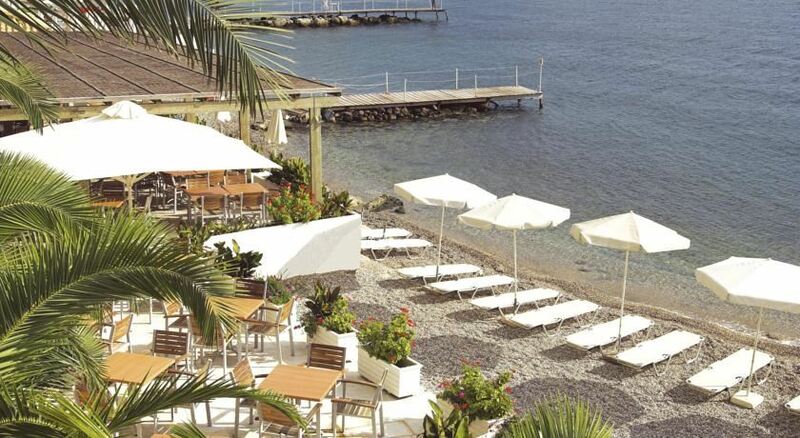 The guest rooms in the hotel have balconies that face either out to the sea or towards the mountains. 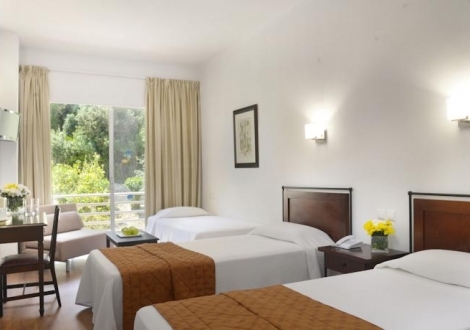 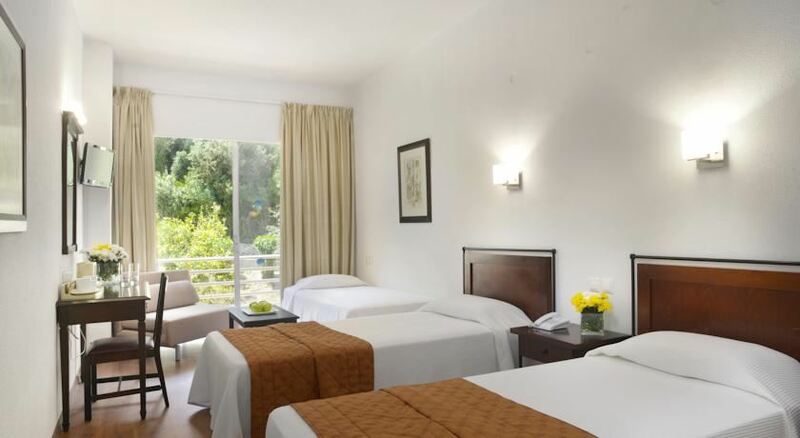 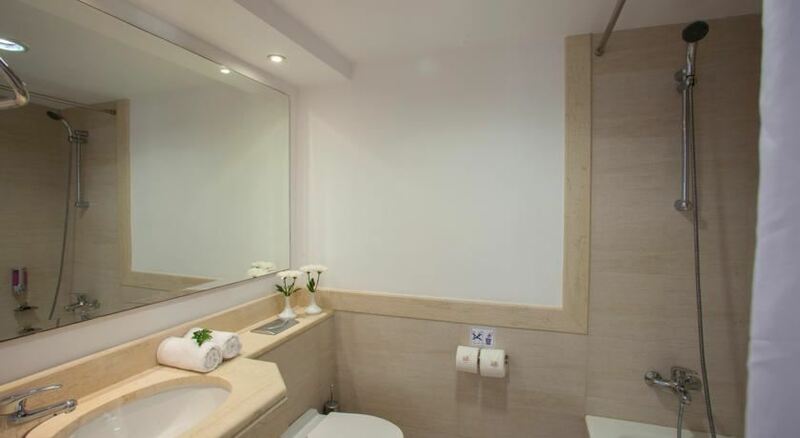 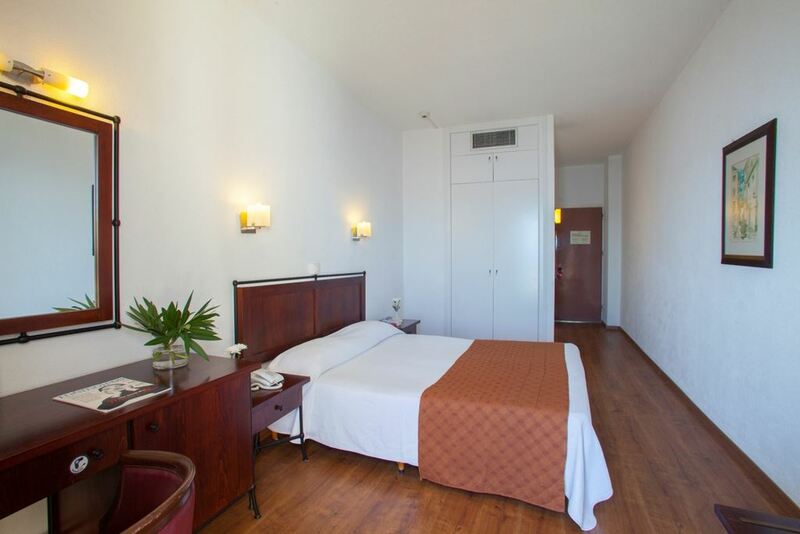 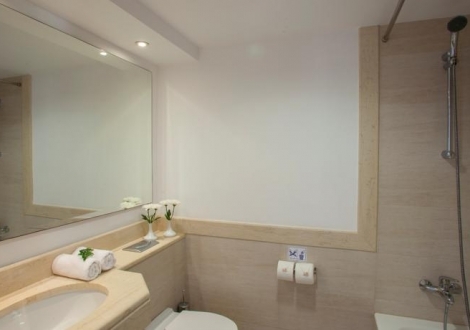 Every guest room comes equipped with air condition, safe, satellite TV and hairdryer in the bathrooms. 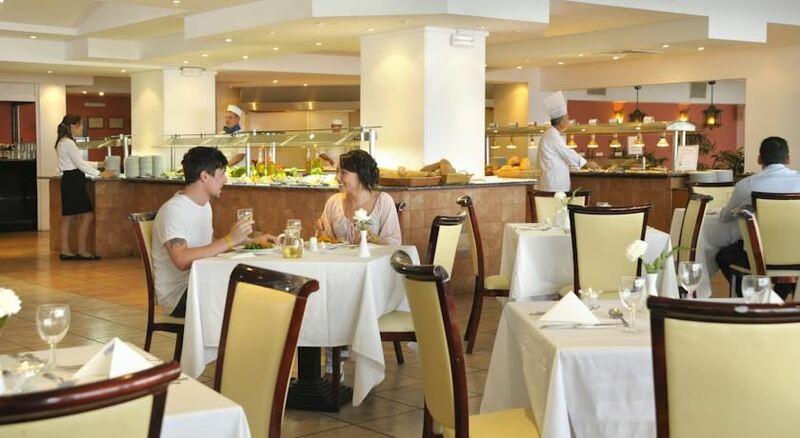 In the hotel’s area there are also a super market, a gift shop, an internet corner. 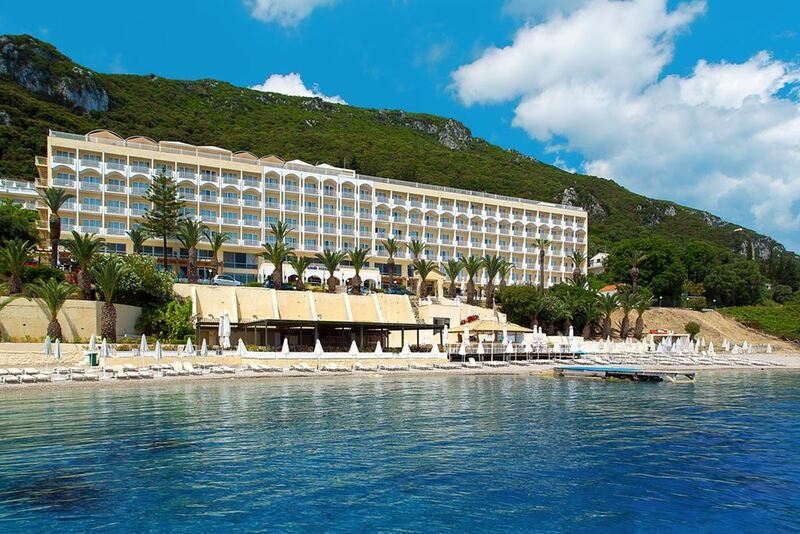 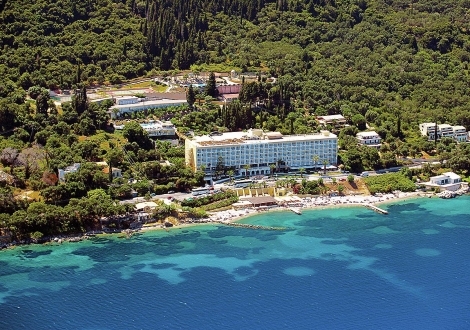 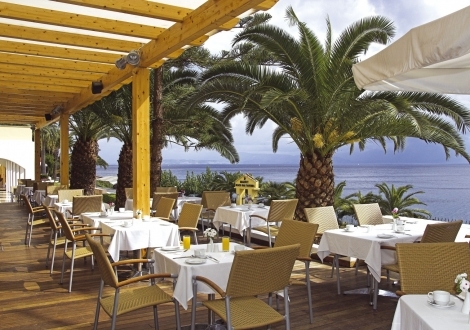 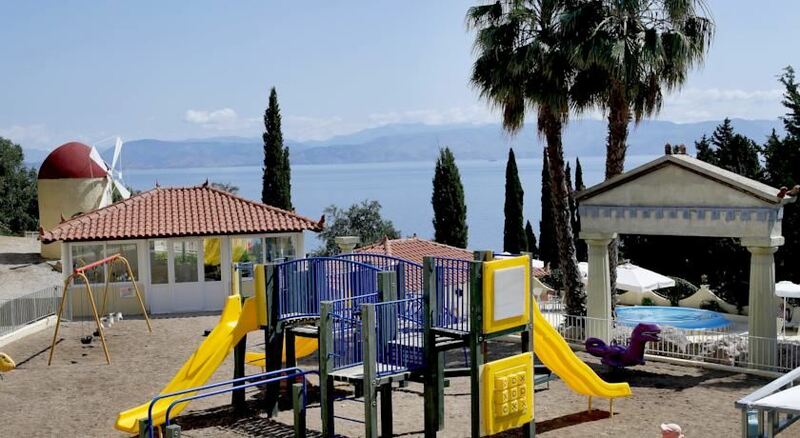 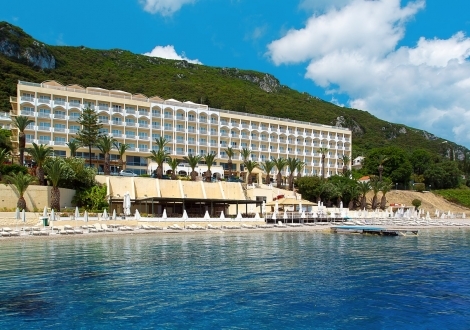 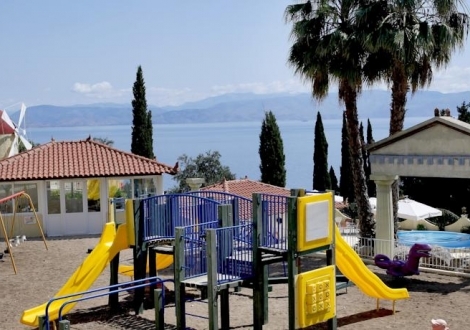 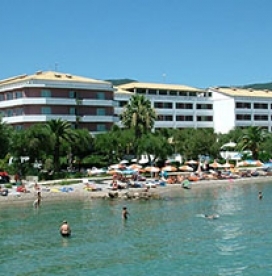 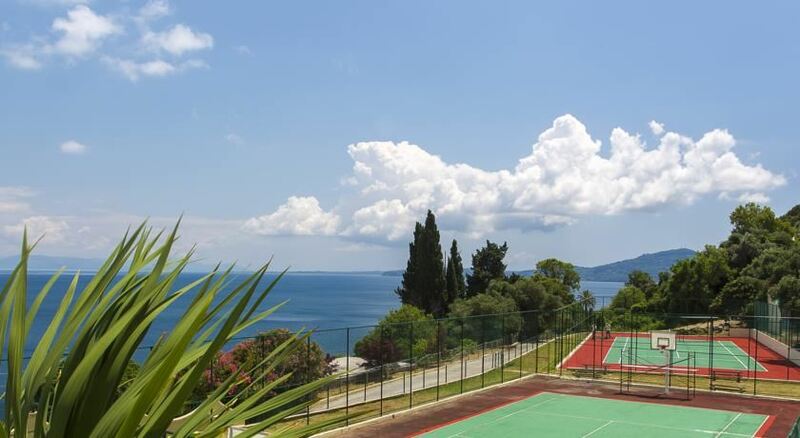 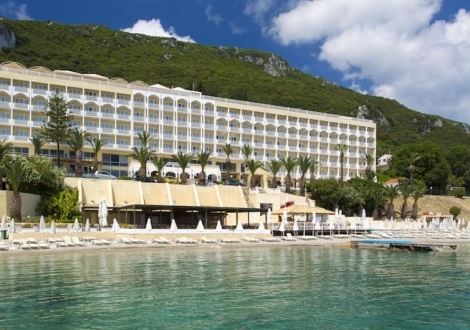 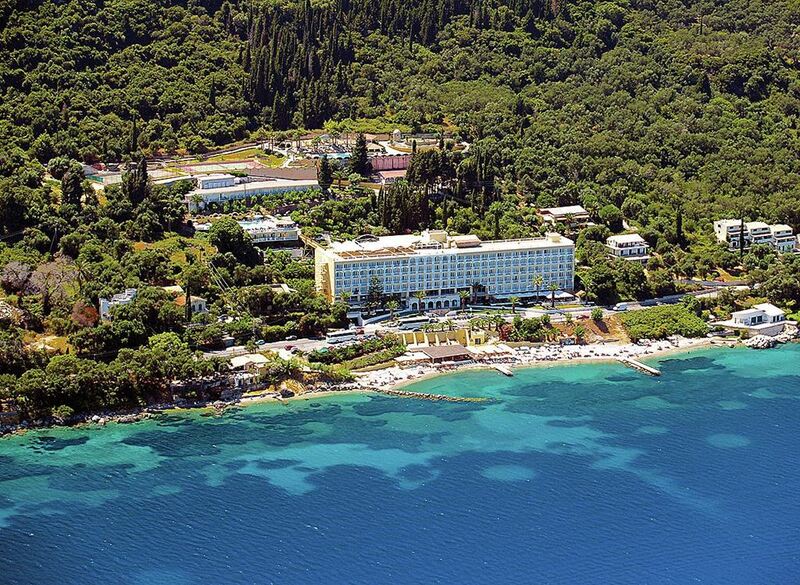 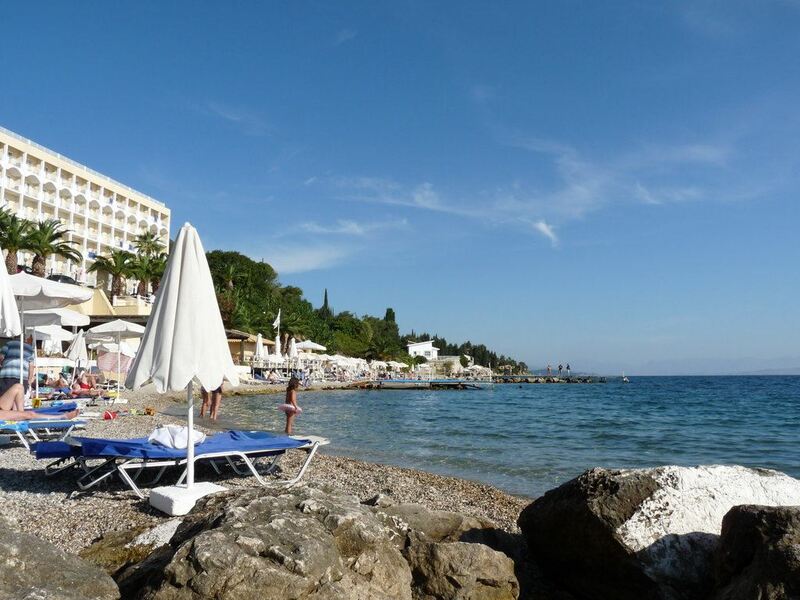 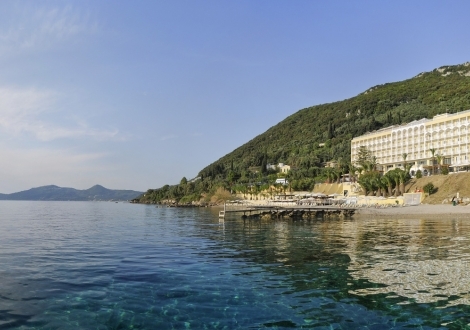 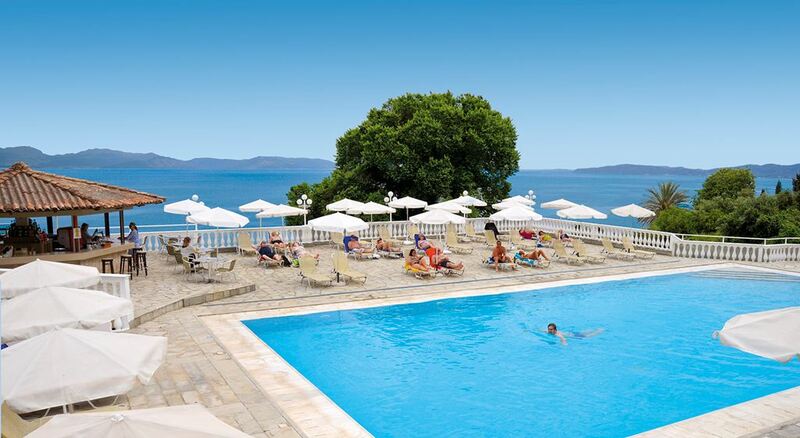 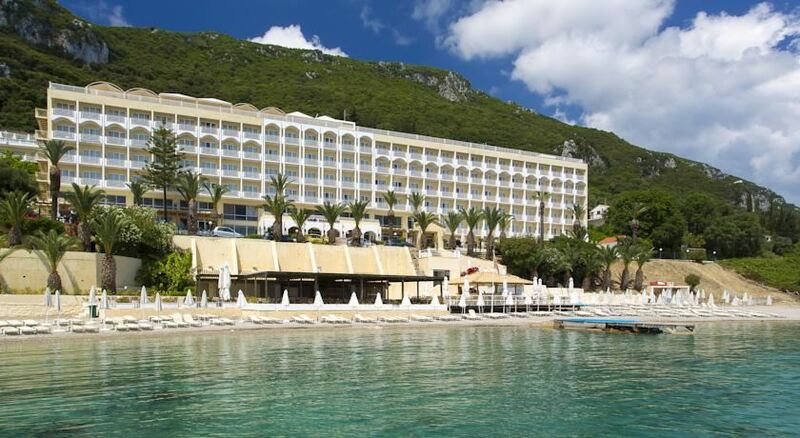 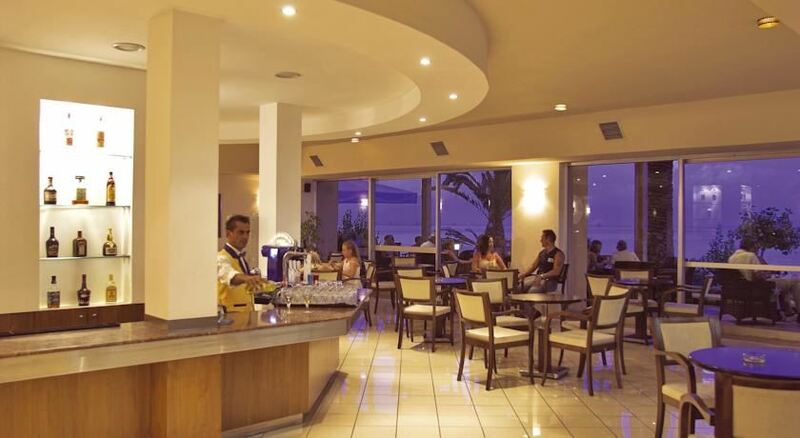 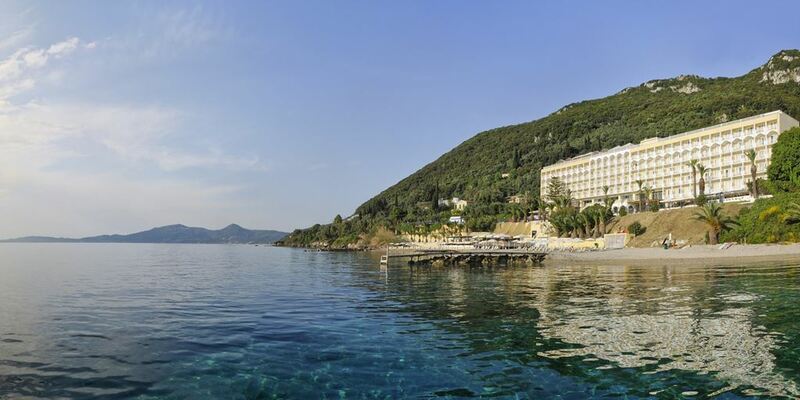 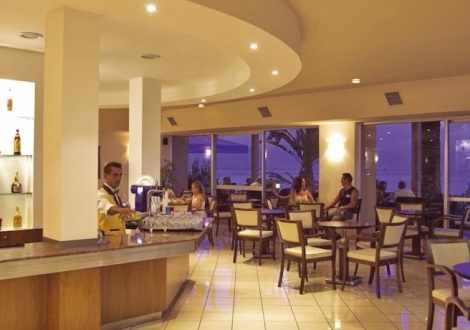 Distance to Airport 7 () Beach (50 Meters) City center 8 (Corfu KM) Hotel checkin from: 14:00 Hotel checkout to: 12:00 All .. 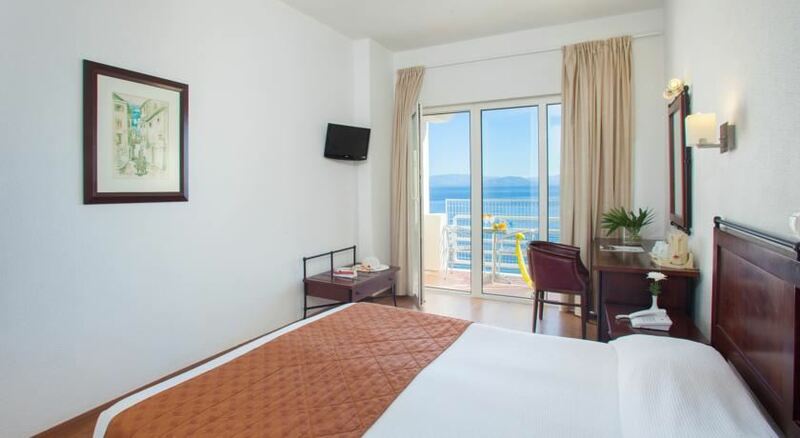 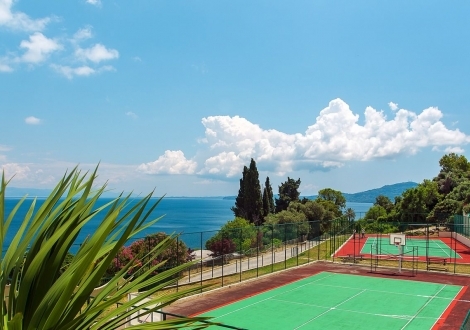 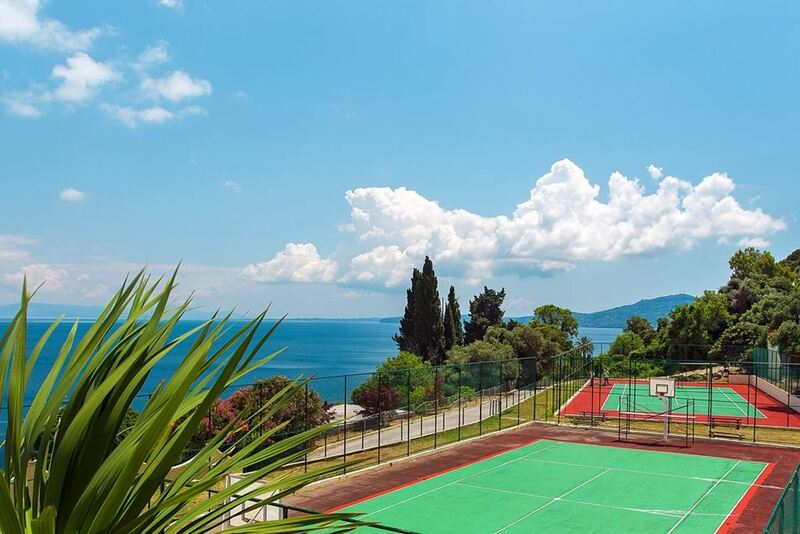 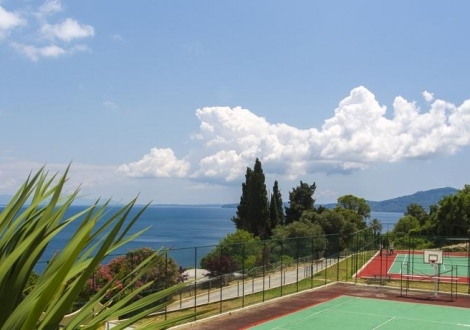 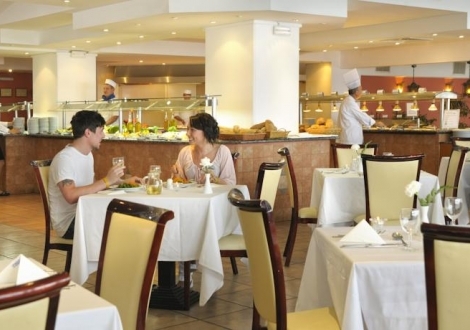 Distance to Airport (30 KM) City center Corfu Town (29-30 KM) Hotel checkin from: 14:00 Hotel checkout to: 12:00 The resort i ..